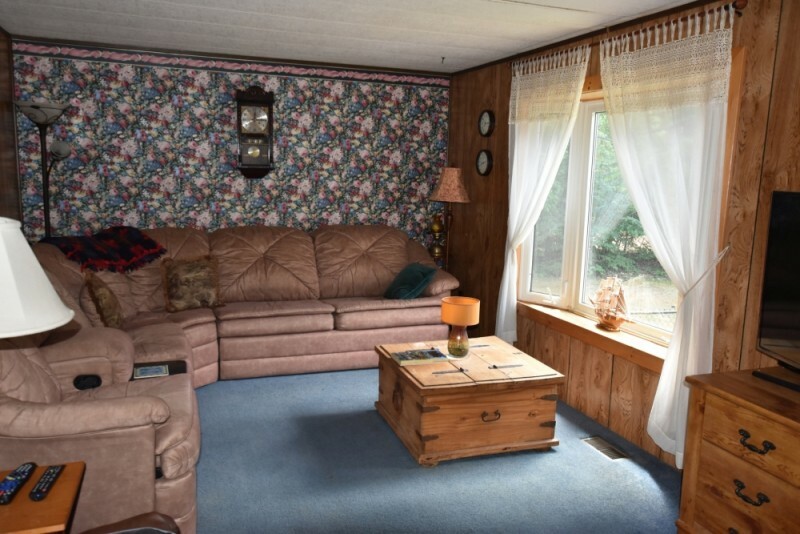 Vacationers looking to get away from the hustle and bustle of everyday life will enjoy this comfortable all seasons cottage located on the Muskoka River, near Bracebridge. Sun shines on the property all day, providing ample opportunity to play yard games, swim or sun bathe. 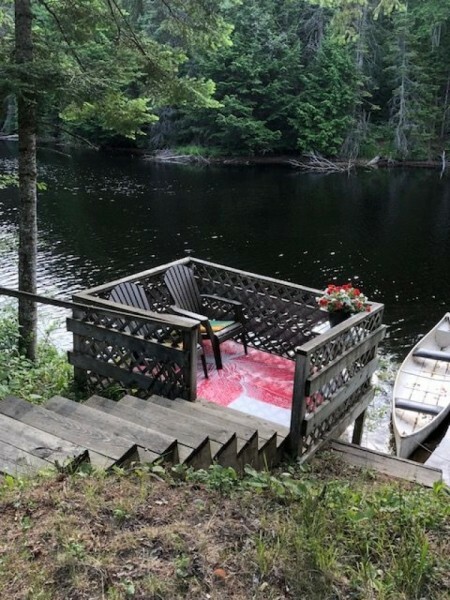 This peaceful area of the Muskoka River is the ideal spot for anyone seeking rest and relaxation. 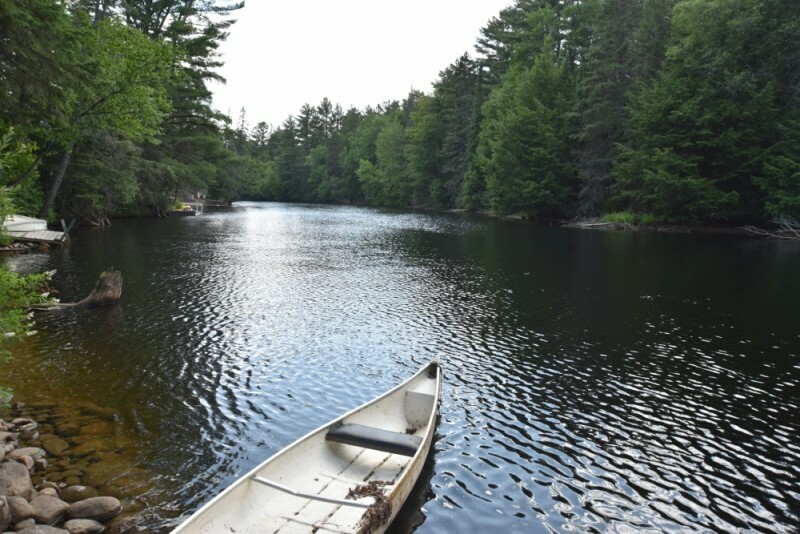 There is a canoe to enjoy for a delightful quiet paddle on the river. The three-bedroom cottage will sleep seven and is all on one floor, ideal for families looking to be together. 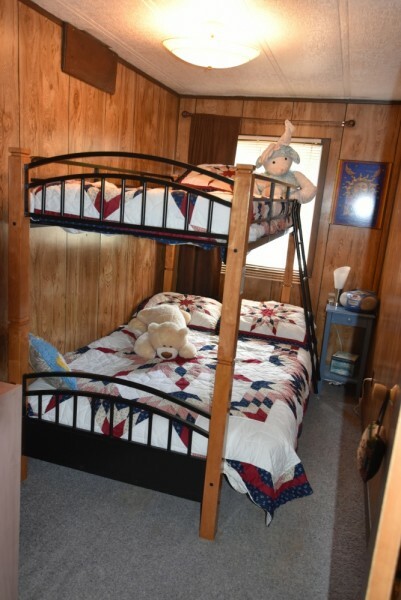 There are two queen beds and a single over double bunk bed. 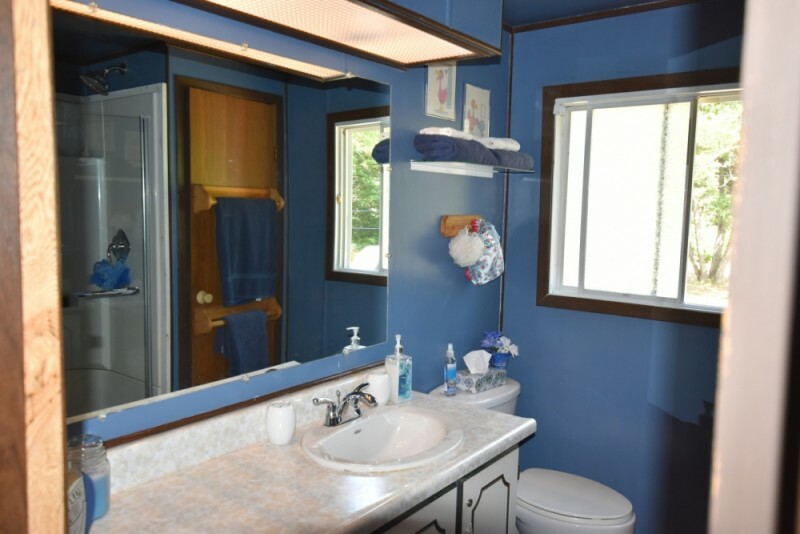 There is also a three-piece washroom. 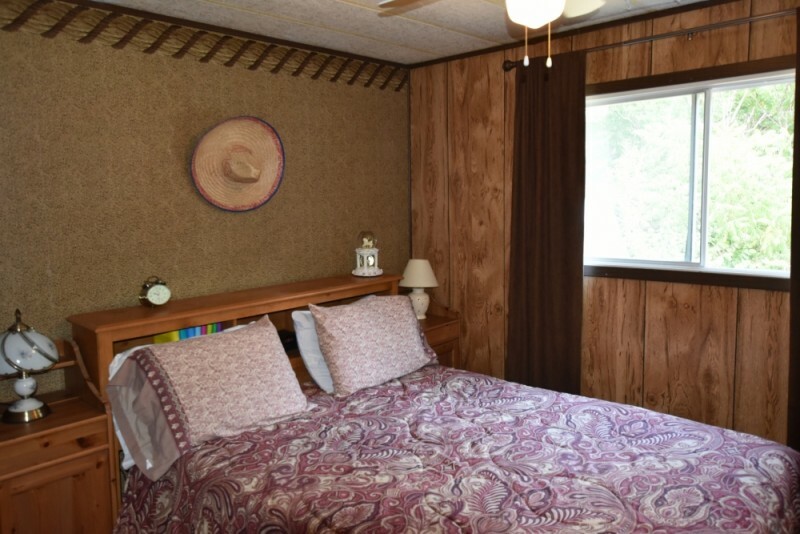 The eat- in kitchen looks out to the comfortable living room with satellite television, DVD machine, and propane fire place. The high speed Wifi is sure to please everyone. Just off the living room is a screened in porch looking out to the river to relax and have morning coffee. 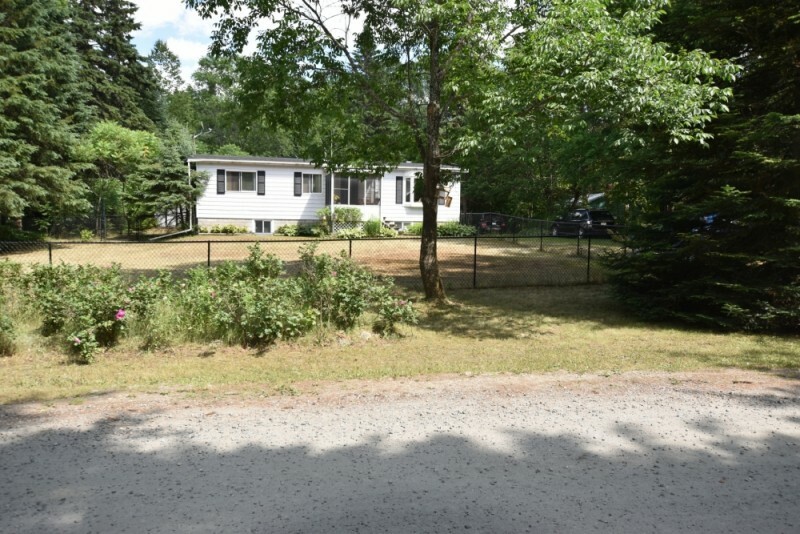 The fenced yard makes it ideal for children and pets. 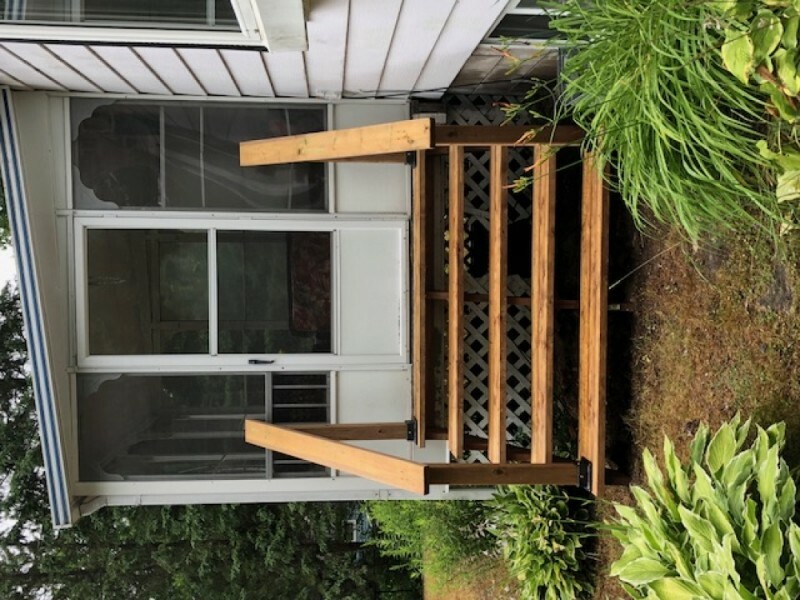 Walk out onto the spacious deck with a barbeque, which faces the large yard for watching children play on the swing and slide set while cooking meals. 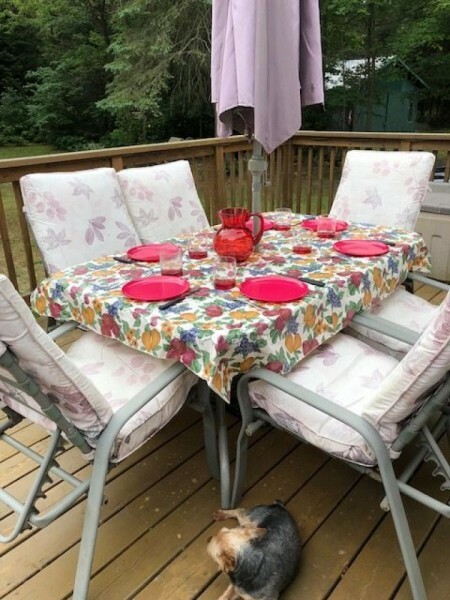 The large patio table with umbrella, a perfect place for breakfast, lunch and dinner. The large grassy area is excellent for any yard activities. A fire pit invites everyone to gather around, sing songs or roast marshmallows. Please purchase your firewood locally. 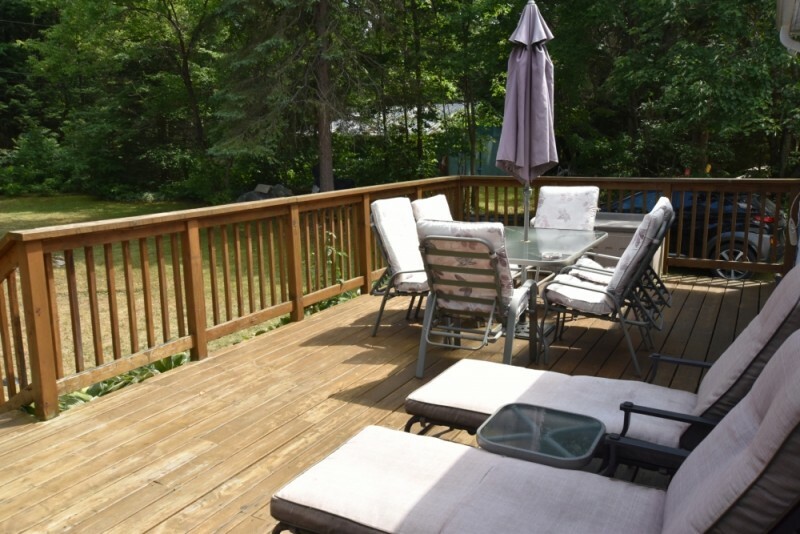 There is a small deck by the water to relax and enjoy the peaceful river views. 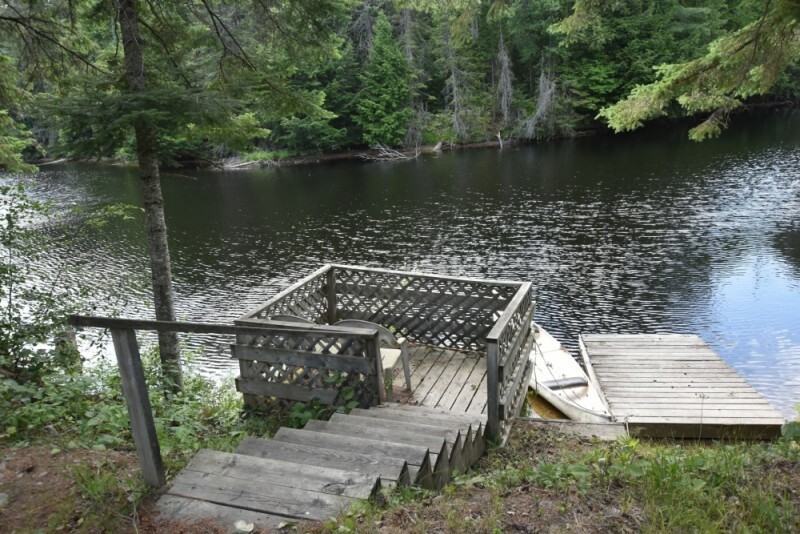 There is a 5 X 8 dock which is perfect for swimming or fishing. 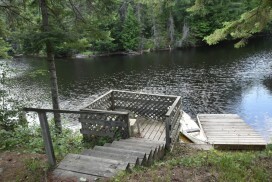 The shore drops off quickly to the deep river, so it is preferred to jump from the dock into the river. The river is deep and has a current in the summer months, but it is safe for swimming. It is recommended that all guests know how to swim if they plan to swim in the river. Approximately 5 km of waterway can be explored before the rapids down the river. $1,025 per week during high-season (﻿High-Season includes Family Day Week, Victoria Day long weekend, March Break, the last full week of June to Labour Day Monday, Thanksgiving, as well as the week of Christmas and New Year's ). $820 per week during winter season. $718 per week during off-season. $171 per night during off-season holiday weekends (minimum 3 nights). 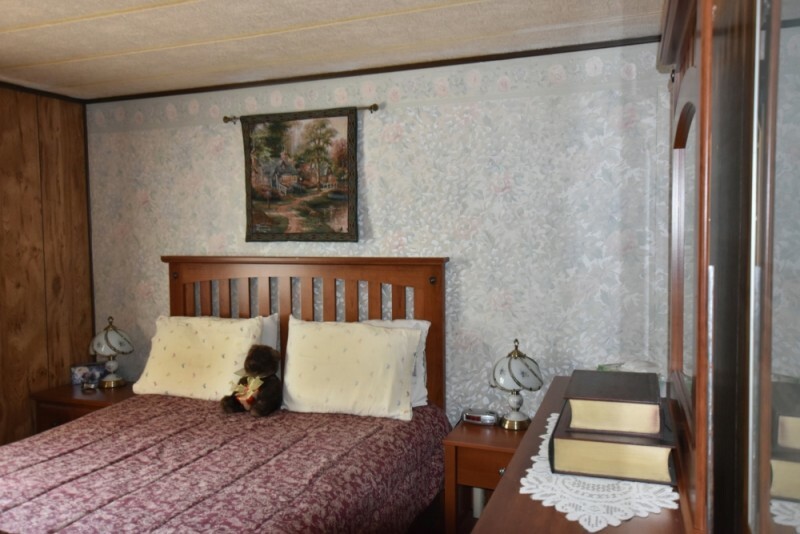 $120 per night in off-season (minimum 3 nights). $137 per night in winter season (minimum 3 nights). $600 refundable security deposit required. For stays 1 week or less: $59 Accidental Damage Insurance required. For stays longer than 1 week: $75 Accidental Damage Insurance required. $85 cleaning fee * Administration fee may be applicable.